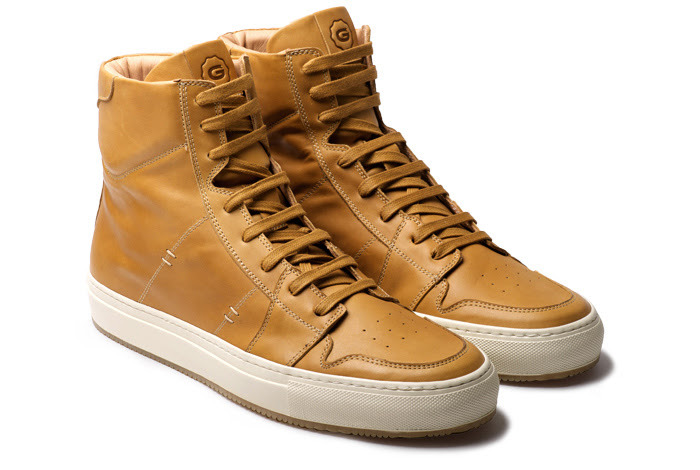 October 17, 2015 October 16, 2015 by Beau H.
An updated take on the classic high-top. If the brand name above looks a little familiar, that’s understandable. 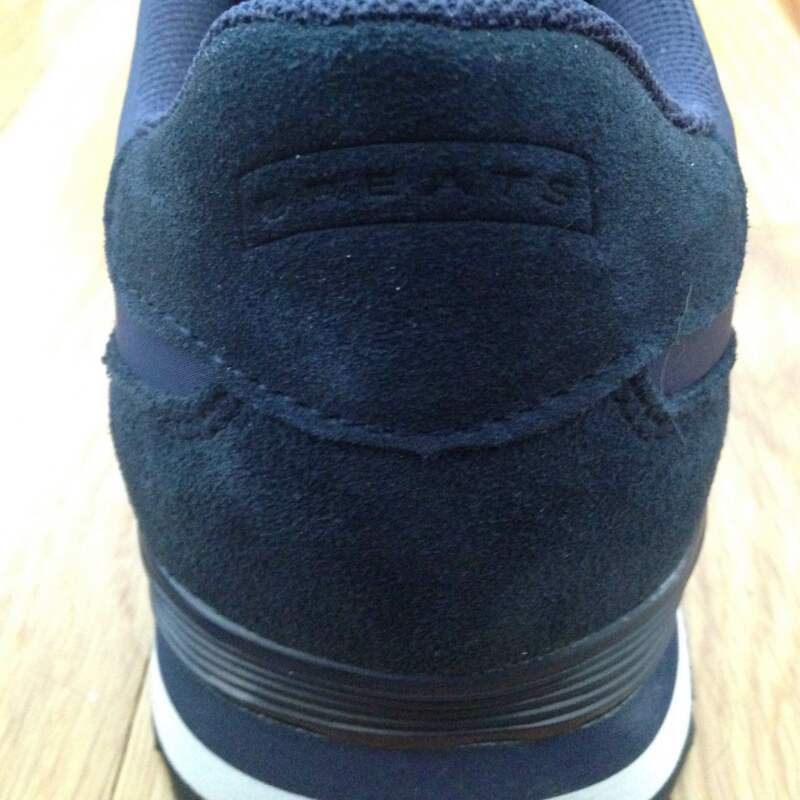 GREATS is a brand that has been featured numerous times here on The Style Guide, and with great reason, as it were. The Brooklyn-based brand is doing things the right way, making high-quality sneakers in a variety of silhouettes at affordable prices. The fact that premium materials and construction to rival that of dress shoes are incorporated into each pair is a definite bonus, too. And the product offering seems to grow each week, as the relatively new GREATS Royale Court release can attest. It joins a lineup that includes the lux Leather Wooster Slip-on and low-profile offerings like the Wilson and the Rosen. Thankfully, there’s really no better time to rock a high-top sneaker than the fall — the cooler temperatures and crisp breezes necessitate footwear that’s functional and stylish, but not as rugged as winter boots. 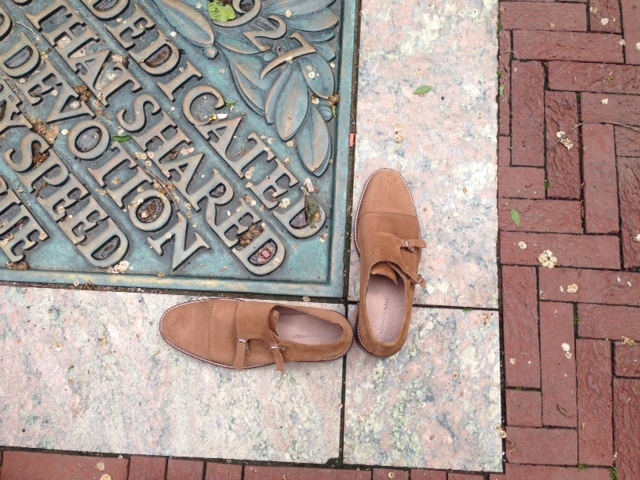 The Royale Court is also available in a crisp Honey Wheat color, also ideal for fall. And the Royale Court gets a lot of the details you should look for in a high-top sneaker. That means shying away from athletic sneakers and other kicks you might rock at the gym, and instead looking for something exactly like this GREATS pair. They’re retro without going too over the top, and the matte Graphite color (one of four shades, including a nice red Plum)) helps keep things toned down, although the Honey Wheat offering plays off one of the bigger fall color trends, camel. This pair is pricier than a pair of classic Vans or any of a number of essential sneakers you should own, but you definitely get great quality based on my past experiences with the brand. This particular pair is fully lined in veg tan calf skin and features a premium leather upper, too. In the right color, they’re a set of kicks you could rock with some streamlined dark denim and a herringbone blazer for a high-low Casual Friday — and yet, they’d work just as well with some cargo trousers and a rugged henley. And in that neutral color above and with those quality materials, they’re a pair you should feel free to try out anytime, anywhere. 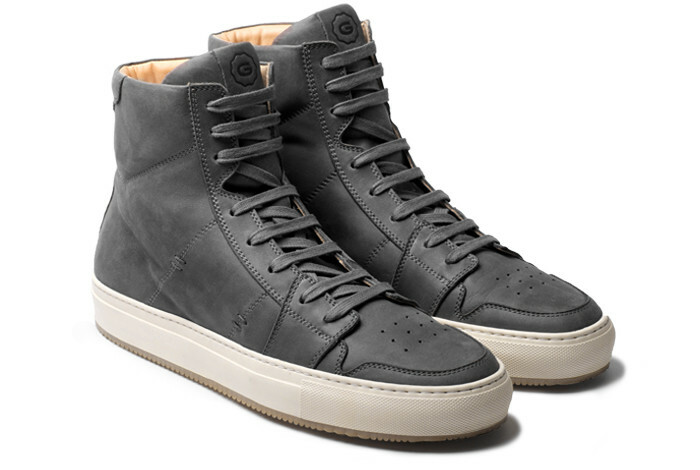 Would you purchase these high-top sneakers? How would you style them? 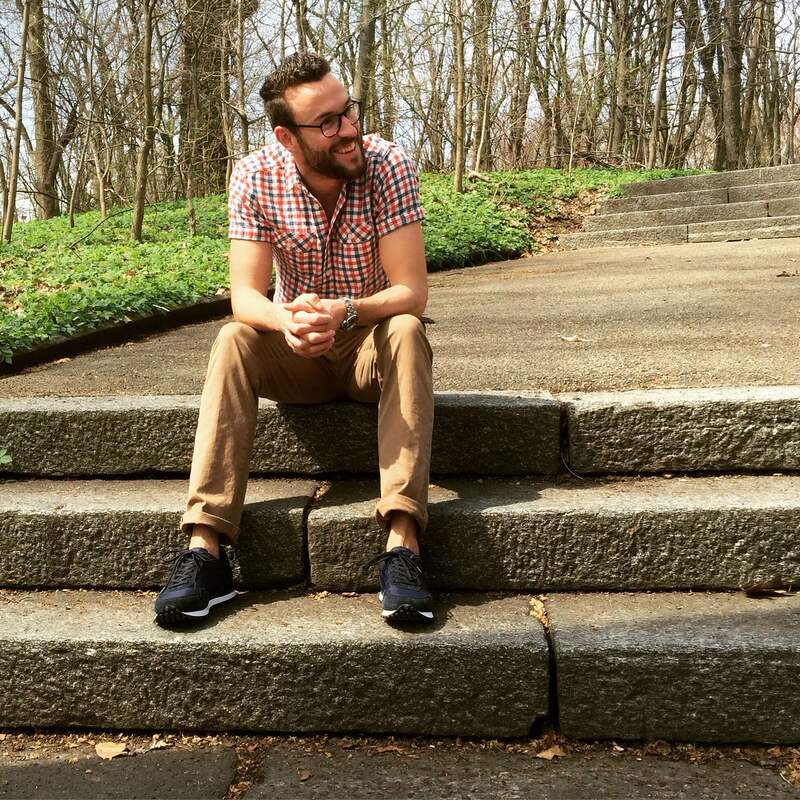 June 24, 2015 June 24, 2015 by Beau H.
Editor’s note: For more online shopping picks covering everything from great brands, gift guides and the best warm-weather blazers and shorts, head here. 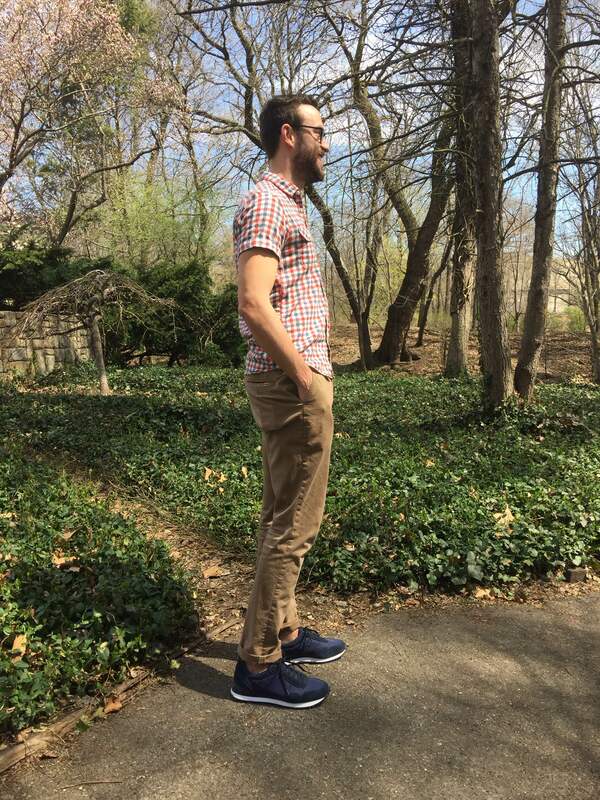 As I was preparing this post, I got a question from a reader on the very topic about to be addressed below — what’s a great, versatile (second) set of shoes fit for a business casual environment and beyond? Well, that answer’s coming shortly. Meeting the needs of your everyday life while also having a sharp pair on-hand for seasonal occasions, like holidays or weddings, is part of building and maintaining a well-curated closet (although I doubt many of us have space like the above photo!). So with that in mind, I’ve pulled together some picks below that cover both specific occurrences as well as versatile three and four-season picks with a budget in mind. Let me know your thoughts and reach out with any questions via the Contact page! Take your pick of black or brown, and wear ’em with jeans, chinos or a suit. If you already have an affordable dress shoe that can stand in for everyday wear (like the second option on this list), upgrading to something a bit unconventional is certainly one way to go. The Florsheim Jet Chukka has a sleek toe shape, sharp three-eye chukka boot construction and the ability to be worn both with slim chinos, dress trousers or jeans. This style can even be worn with a suit — just ask James Bond. The price is pretty agreeable for an offering from a respected brand, although on the regular dress shoe front, the Mercanti Fiorentini Wingtip Oxford would also be an exceptionally wearable upgrade for just about $15 more. 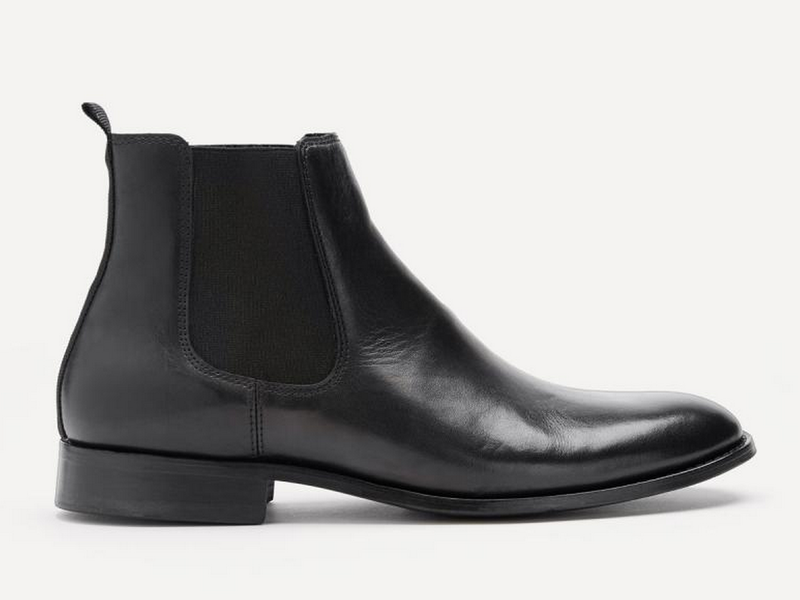 Don’t sleep on something like the Aston Grey Captoe, either, and a slick Chelsea boot would be an alternative style option to look into as well. Fit for weddings, office wear and casual Fridays. This particular style has made a few appearances on this blog, notably in last fall’s budget style series. 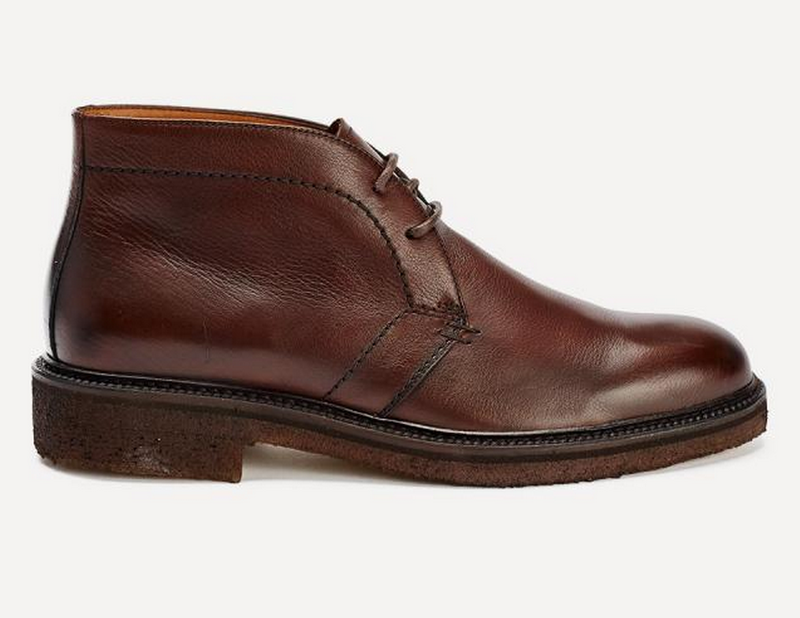 It’s received surprisingly solid reviews, similar to the much-loved Stafford Wingtip Boot of old. The quality isn’t anywhere near as strong as the Mercanti Fiorientini Oxford discussed above, but in a pinch, it should provide reliable style for the price. The color, while a little bolder than a more versatile dark brown, should work with everything from lightwash jeans to chinos. It’s also available in Black for that same low, low price — and considering these shoes normally retail for almost twice the current price, it could be wise to pick up a pair now. 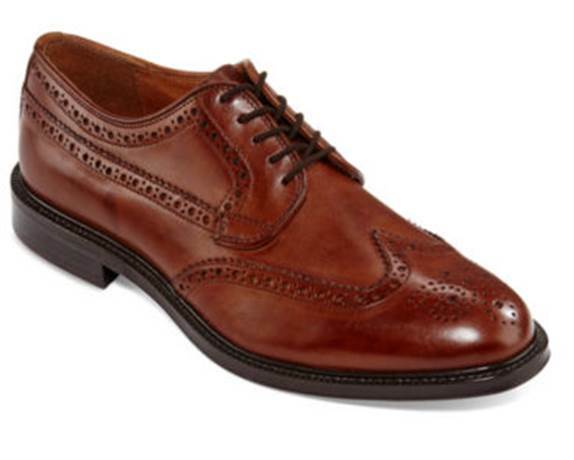 It doesn’t get much more classic than a dark brown wingtip at a more premium price. So let’s say you’re in a unique spot — you can’t quite afford a pair of dress shoes from Allen Edmonds (more on those below) but you want a better-quality pair than the ones listed above. Where do you go? Jack Erwin has you covered. Produced in Spain and designed in New York City, the Adam Wingtip Oxford checks every box you might be looking to fill when hunting for a versatile, affordable shoe. 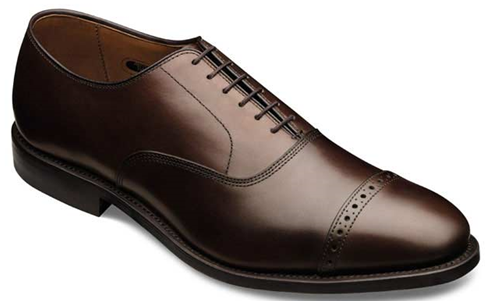 The not-too-dark, not-too-light chestnut brown color, a full-grain calfskin leather upper and a pleasing toe shape allow for wear with everything from a suit to denim and a T-shirt if you’re feeling a bit more bold. 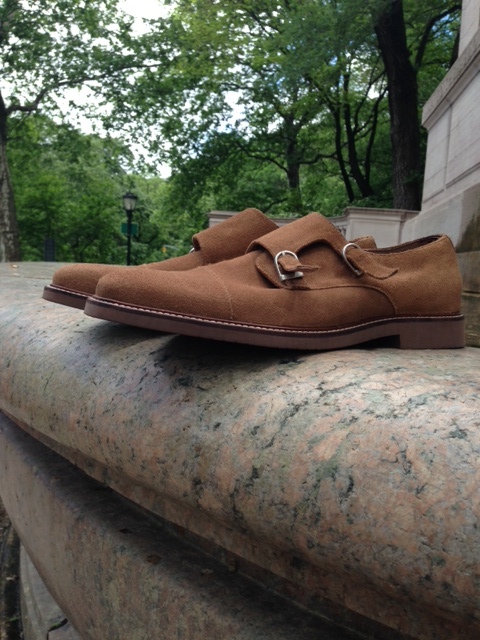 The same style is also available in a very continental dark brown suede. 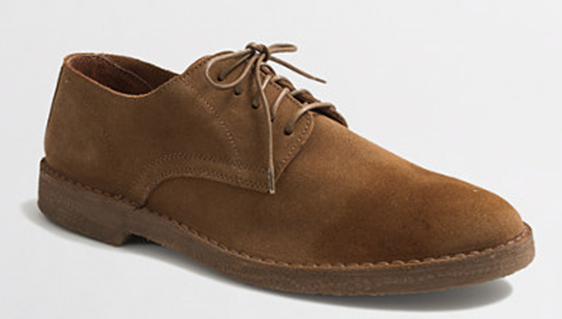 Dark tan suede + a rubber sole = an Oxford that wears like a desert boot. Suede is one material that, much like fine leather, fits in just as well during spring & summer as it does during fall. In fact, other than a pair of crisp leather loafers, there might not be a dress shoe more geared toward warm weather than a suede Oxford, like the Calvert from J. Crew Factory. While this pair leans much more casual thanks to a rubber sole, that also makes it a little more versatile. This shoe should wear and feel more like a suede desert boot, making it the perfect lightweight match for a light blue cotton suit and an outdoor wedding, or a pair of lightwash jeans and a short-sleeve henley. Wait for a sale and they could dip below $70. 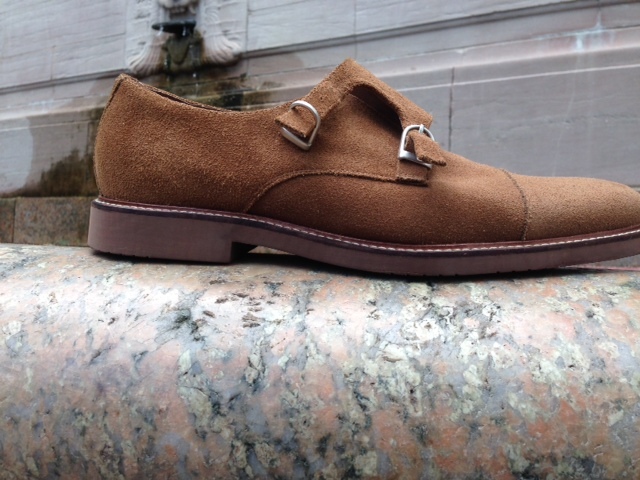 The Kenton Suede Bucks from J. Crew provide similar summer style for about $100 more. American-made. Suit-ready. Five color options available. By far the dressiest and priciest of the bunch, the Fifth Avenue Captoe Oxford is legendary in the premium footwear market for its made-in-America quality and sharp looks. While the brand has something for everybody, (including equally pricey wingtips), this captoe model has been around for decades and continues to hold its own. Considering the price of this shoe, it can and should be worn in as many ways as possible. The captoe is dressier than a plain old wingtip, but with a pair of slim cuffed denim and an unconstructed blazer, it wouldn’t look too out of place. Picking up this pair in black would be conservative on the style spectrum, but if you own one pair of black dress shoes, make it these. 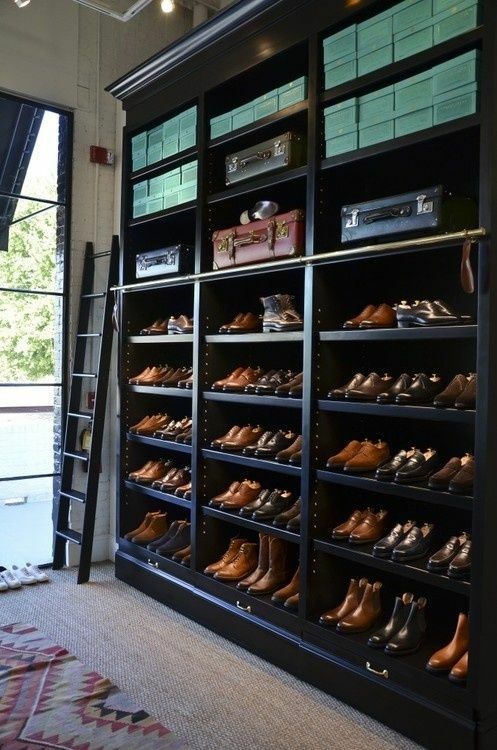 When sorting through the world of men’s dress footwear, there are bound to be brands left out. 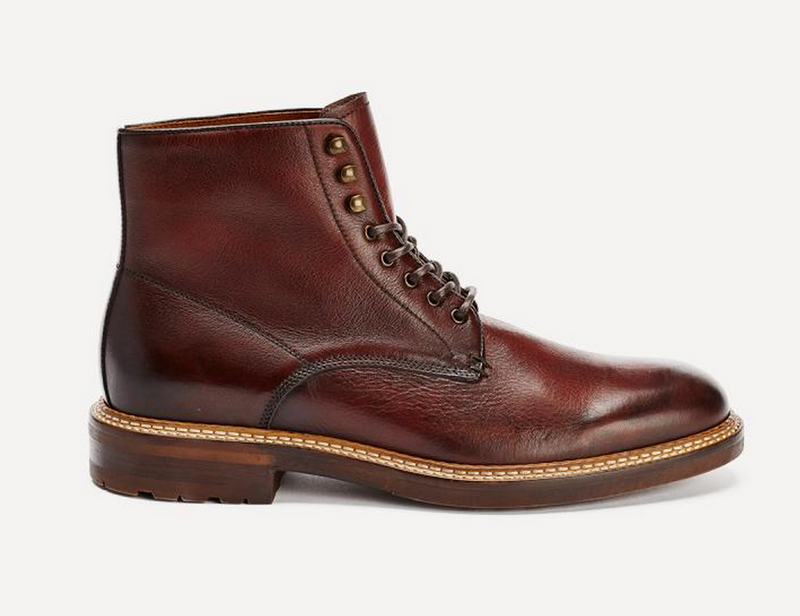 Banana Republic’s Digby Brogue gets an honorable mention nod, as does the absurdly expensive (yet lovely) Brown Plain Toe Blucher from Oak Street Bootmakers. Out of the above picks however, any option should be able to transition seamlessly from day to night, and from outfit to outfit. Which of the above pairs is on your must-buy list? Are there any brands you would add? Let me know in the comments! Need a sharp shirt or weekender bag to go along with your new dress shoes? Take advantage of the exclusive offer below from Ernest Alexander, now through July 31. Happy shopping! 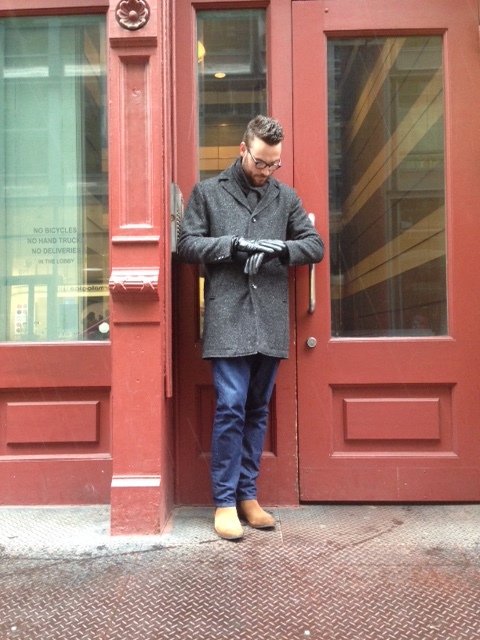 November 24, 2014 by Beau H.
The Canadian menswear brand expands its offerings. 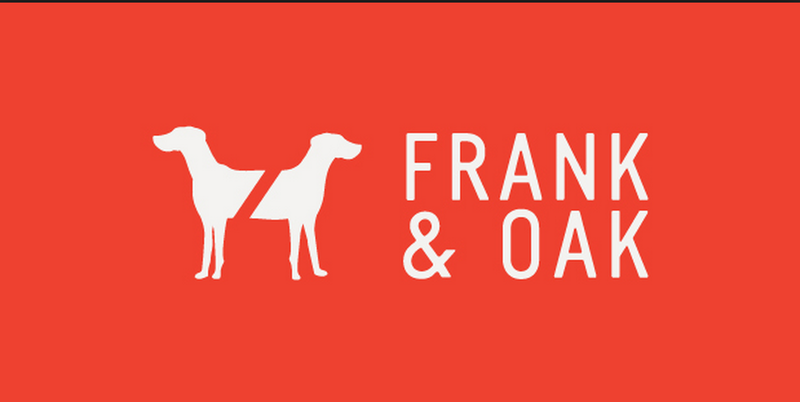 If you follow men’s style regularly, you’re at least a little bit familiar with Canadian menswear brand Frank & Oak. The brand has blown up in recent years for its stellar mix of affordable, e-commerce-based menswear that manages to mix both vintage and of-the-moment elements. They recently opened a flagship store in Toronto, have curated a neat community space in Montreal, and they continue to make some serious headway outfitting men from head to toe with some newly-launched shoe styles in addition to their slick sneaker collection. They’ve ventured into footwear in the past, but this seems to be the most comprehensive launch yet. Their monthly releases are always a personal favorite, and they’re now making it quite hard to shop anywhere else. Check out top picks from some of their footwear offerings below — always handy to get some gift ideas in mind as the holidays approach, either for yourself or someone else stylish on your list! Style that mimics the Wolverine 1000 Mile boot at a much more affordable price. With all of the attention workwear and the resulting Americana craze has gotten in recent years, these boots build off the rugged style that so many seem to crave nowadays. They look to be a more affordable, slightly sleeker alternative to something from the Wolverine 1000 Mile collection, and that combination of looks and low pricing really can’t be beat. 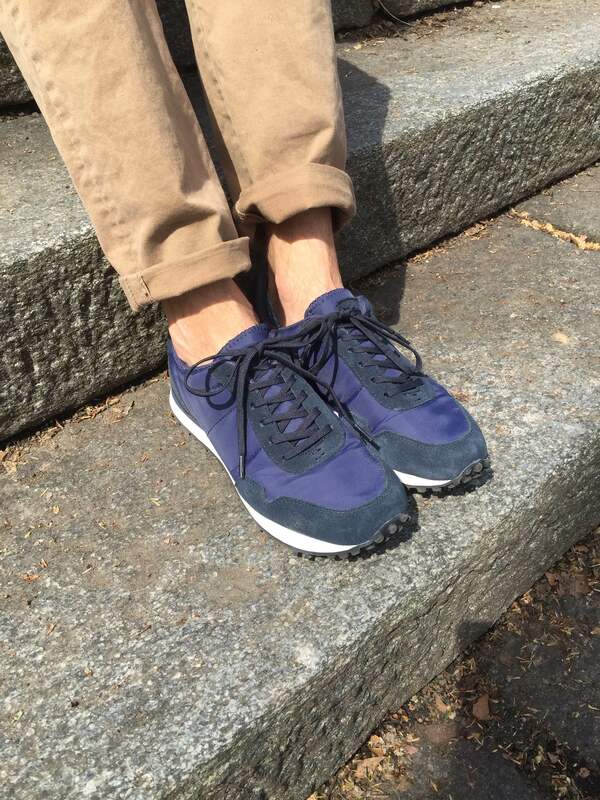 These would pair excellently with some trim chinos (perhaps in a fall-appropriate shade?) 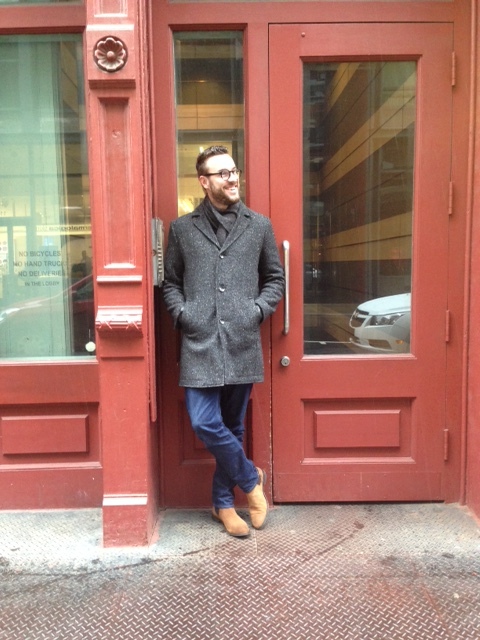 and a thick cardigan, and they’d also stand out underneath a classic pair of dark denim or slim corduroys. Be warned: sizes are already going fast. One of the more versatile pieces of footwear a guy can own. A solid pair of brown chukka boots is an incredibly versatile and stylish piece of footwear that can be worn plenty of different ways. This pair looks to be much the same as other chukka boots in terms of versatility, yet leans slightly more casual given the crepe sole. It’s got just enough sheen to dress up a bit. And the casual crepe sole doesn’t automatically mean these shoes would look out of place underneath a pair of patterned trousers or with a fall-weight suit. In fact, these boots would probably look all the better with either combo after getting beaten up a bit. The price is a bit much compared to other chukka boots, but the quality should hopefully be up to scratch. If shades of brown aren’t necessarily your thing (and let’s be honest, everyone needs a pair of black dress shoes), these should do the trick. A sharp, fall-ready piece of footwear. Although these slick boots are part of the brand’s Holiday Collection launched last week, they’re still worth mentioning in this round-up. Namely, they’re a more refined, less rugged and slightly trendier take on the boots pictured above — these are more suit-ready than the other footwear picks listed here, without a doubt. 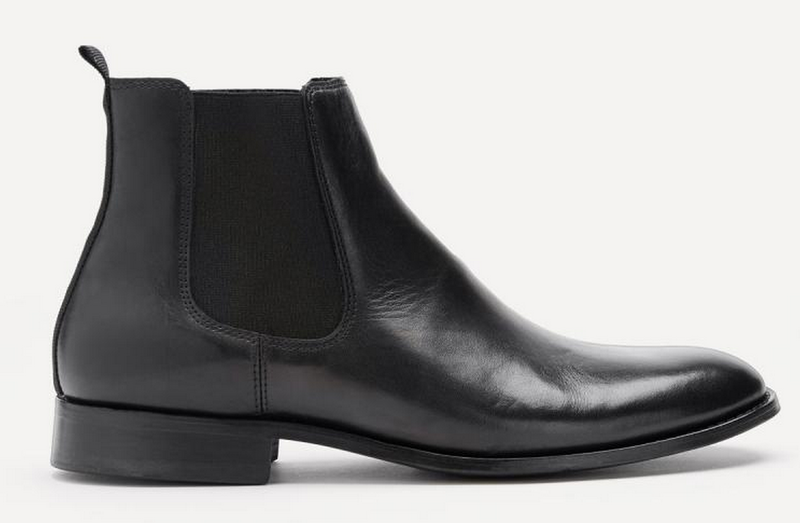 Chelsea boots are continuing to have a moment as far as footwear goes, and for good reason — they’re a great callback to ’60s-era style and fit perfectly under slim suits. The construction also fits well with fall and winter. This pair, like the rest of the brand’s footwear offerings, is far more affordably priced than other alternatives as well. 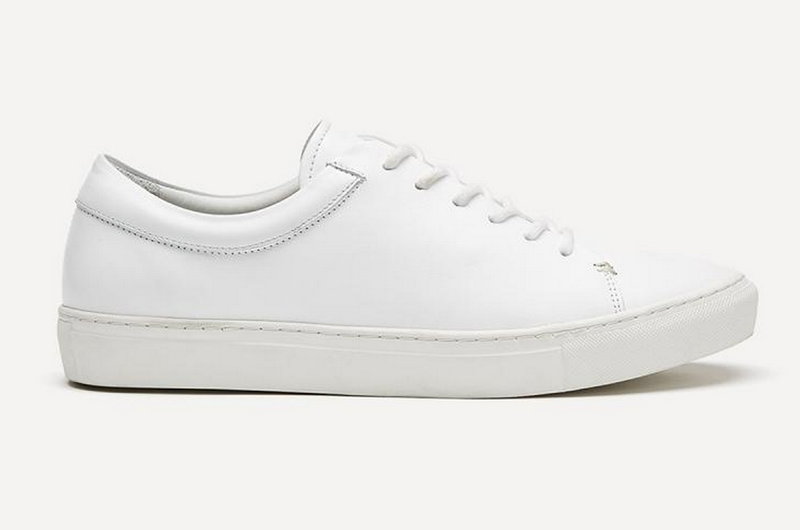 Common Projects style for a much smaller price tag. These aren’t part of their newest footwear release, but the importance of a clean, crisp pair of white sneakers can’t be emphasized enough — especially in the spring and summer, they can pair with everything from olive chinos to dark jeans and colorful shorts. They provide the footwear equivalent of a neutral base, just like a pair of navy or khaki chinos. While this might not necessarily be the season for them, given the right temperature and climate, white sneakers can do a lot fashion-wise, from pairing with jeans and a blue blazer to dressing down some suit separates. For more calendar-appropriate leather sneakers, these navy-and-blue hightops look stellar, too. As far as the white sneaker goes, Common Projects first pioneered the style, but this F&O pair provides the same look for far, far less. 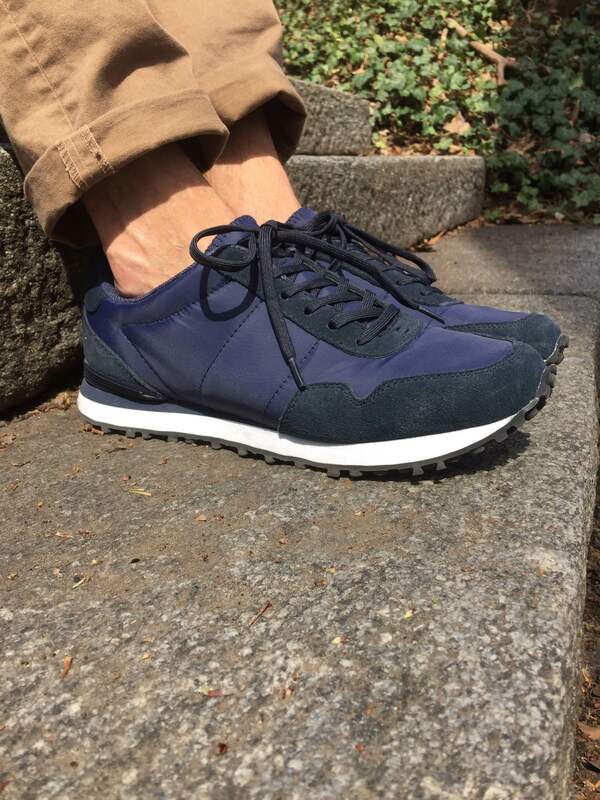 Anybody have any experience with F&O footwear? Any thoughts? Leave it below and thanks for reading!